Home Archives KSHE Pig Roast this Saturday, June 9th: Klassic Legacies. KSHE Pig Roast this Saturday, June 9th: Klassic Legacies. 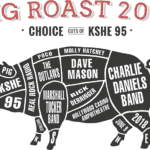 There are some shows that don’t deliver a lot of bang for the buck; The KSHE Pig Roast is not one of them. KSHE 95, the oldest rock station in the United States, have been spinning classic rock since 1967. During those 51 years, this bellwether station has broken a lot of bands and helped launch rock legends. 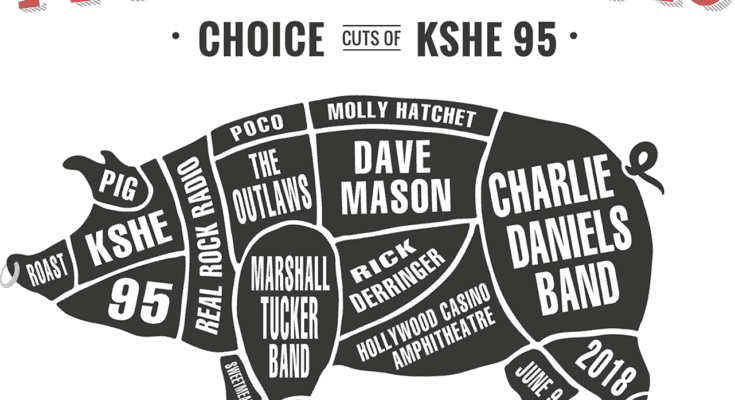 The KSHE 95 Pig Roast this Saturday, June 9th, features a large selection of 70’s rock, with an emphasis on “countrified” or Southern Rock. Tickets start at $19.95 and top out at $150.00. With today’s concert prices, that’s a pretty good deal when the bill features seven classic rock artists and bands including Rick Derringer, Charlie Daniels, The Marshall Tucker Band, The Outlaws, Molly Hatchet, Poco, and Dave Mason. That’s a lot of nostalgia, hits and good times. Tickets are still available at the Hollywood Casino Amphitheater and at Ticketmaster Retail Outlets | 800‐745‐3000. Dust off your bell bottoms, brandish your bandana, and let your hair down. Listen to KSHE for more details. Previous PostBitter Sweet News: BJM's Anton Newcombe on Anthony Bourdain. Next PostFister Rise Above The Sink With Their Latest Slab.